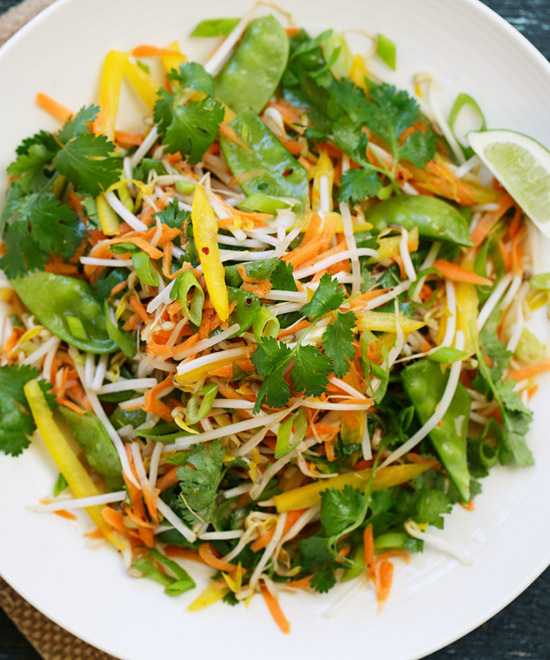 When we started this site many moons ago, one of the first recipes we posted was pad Thai. Like all of our recipes, we tried to keep it as authentic as possible, and the only Western substitution we made was to use brown sugar instead of the less readily available palm sugar. Thankfully, this made virtually no difference to the taste, and it became one of our all-time favorite Asian noodle dishes. But experimenting in the kitchen is in our blood, and if there’s any way we can make a dish taste even better we’ll try our best to do it. So over the years we’ve played around a bit more with the recipe, and made little tweaks here and there. We’ve been very pleased with the results, and we reckon this version really hits the spot, with just the right balance of Thai flavors. 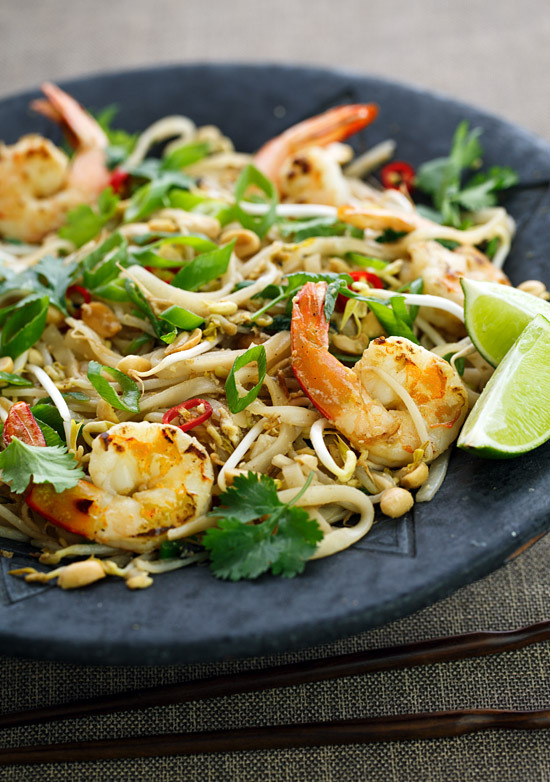 Apart from its wonderful taste, what we also love about pad Thai is that it’s so quick and easy to make. You can soak the rice noodles while you’re preparing the other ingredients, which actually need very little chopping and mixing. The sauce is super easy to make too, just a mixture of fish sauce, soy sauce and brown sugar. 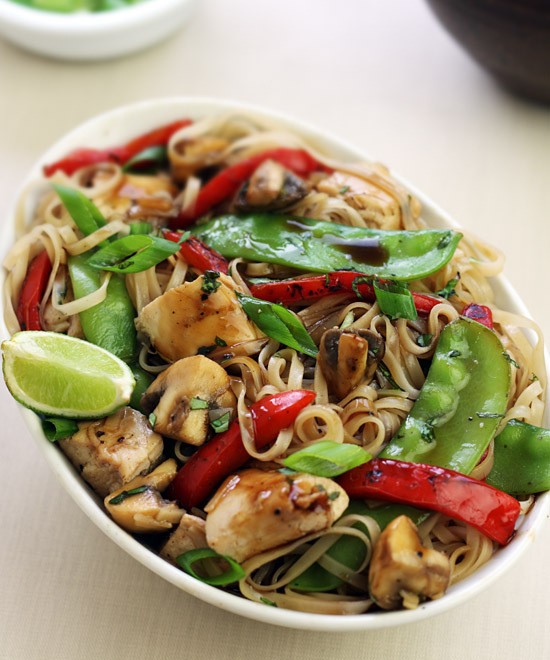 And the stir-frying takes less than five minutes. So, without further ado, here’s our new and improved Pad Thai recipe. Pad Thai is one of Thailand's most popular and well-known dishes. Soft rice noodles are wok-fried with shrimp and eggs, tossed with traditional Thai seasonings, scallions and bean sprouts, then garnished with roasted peanuts and cilantro to serve. SOAK the noodles in boiling water for 8 minutes, rinse under cold water and drain well. MIX together the fish sauce, soy sauce, and brown sugar in a small bowl until well combined. HEAT a wok over a high temperature until very hot. ADD 1 tablespoon of oil and stir-fry the shrimp for 2 minutes. 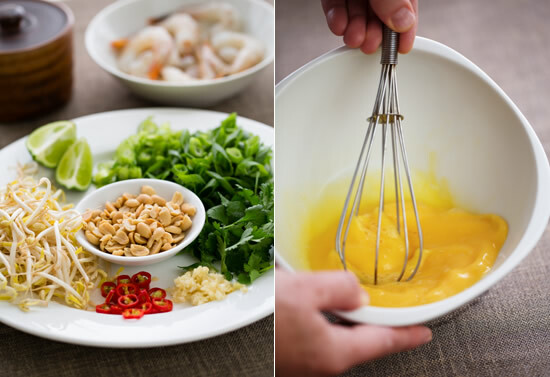 REMOVE the shrimp from the wok and set aside on a plate. HEAT the remaining tablespoon of oil in the hot wok and stir-fry the garlic and chili for 30 seconds. ADD the drained noodles and stir-fry 30 seconds. PUSH the noodles to the side of the wok, add the eggs and stir-fry them until they start to set then stir them through the noodles. ADD the sauce mixture, reserved shrimp and bean sprouts, and stir-fry for 30 seconds. 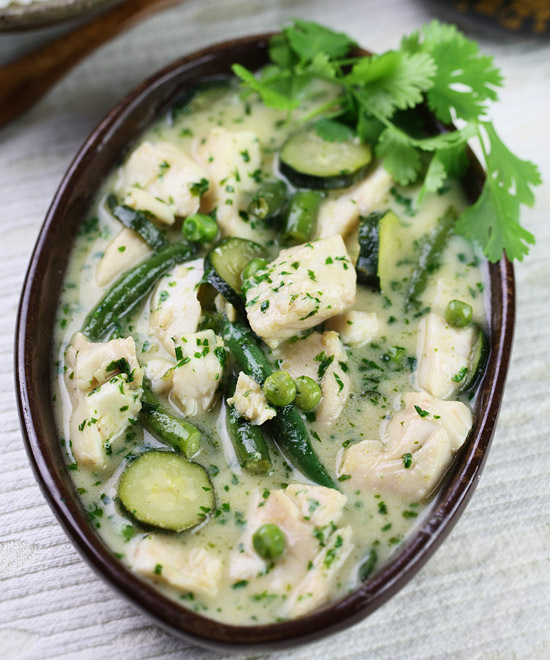 REMOVE from the heat and toss through the lime juice and most of the peanuts, scallions and cilantro leaves (reserving a small amount for garnishing). SERVE on plates garnished with the reserved scallions, cilantro leaves and peanuts on top. Variations: Replace the shrimp with chicken or tofu.